I can't believe how rapidly San Diego Comic Con is approaching! While I prepare my pre-con coverage, I wanted to share with you possibly the best exclusive that you will find at SDCC this summer. Skybound has announced some impressive exclusives, from the Lucille keychains to the Superfight decks, nothing is as impressive as the Saga action figures. 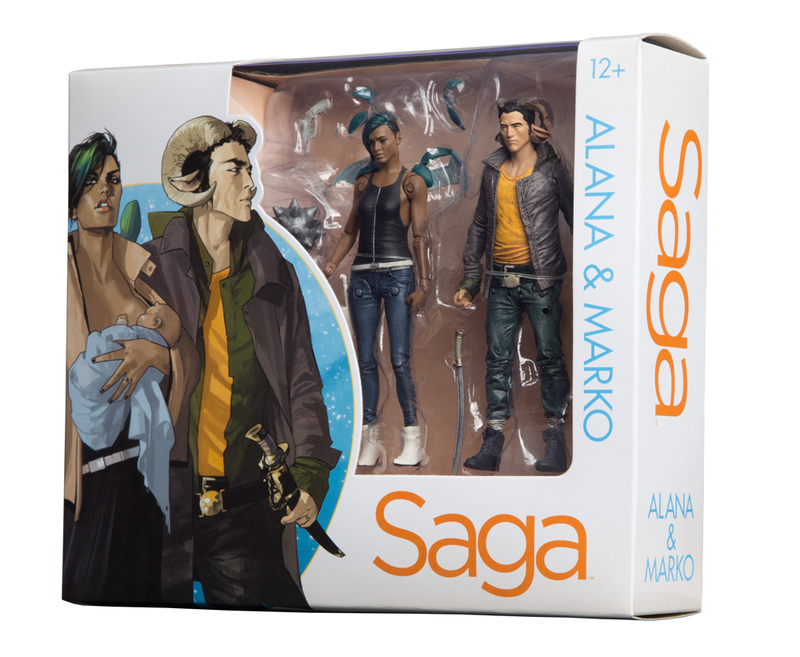 Fans will be able to pick up a Marko and Alana two-pack and it opens the door for more figures from this amazing series. Just look at this two-pack!! I sure hope I get my grubby hands on it. Dept. H #3 - Mia isn't any closer to solving the mystery of who murdered her father at Dept. 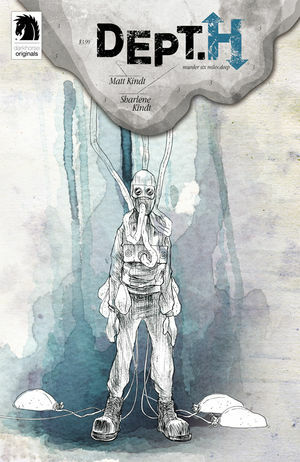 H, the underwater research facility, and the situation has only worsened. Her brother is lost unconscious in the ocean and there may be a contagion lose that is impacting the cognitive functions of the crew. Matt and Sharlene Kindt's harrowing tale took a turn for the worse and I fear that Mia may never know who killed her father or why. It appears that there was a lot of research being conducted on various specimens, but the big question is for what purpose? We peeled back a few more layers on this mystery and I look forward to what we will uncover in the next issue. This is a brilliant follow-up to Mind MGMT and if you haven't read anything from Kindt then you should pick this up immediately. She Wolf #1 - I'm still not quite sure what I read, but it was one of the most visually interesting and appealing comics that I've seen recently. The way that creator Rich Tommaso jumped around in the story I don't think that this comic is for me, but it is unlike anything I've read and fans of werewolves will likely enjoy it. From what I gathered, Gabby is a werewolf who infected her boyfriend Brian. This ultimately led to his demise and sets the stage for a punk rock, teenage werewolf who has a lot on her plate. Not my cup of tea as the story was a bit too jumpy for my taste, but I do think that this title has a target market and kudos for Image for green lighting this unique title. Star Wars: The Force Awakens #1 - When I heard that the Force Awakens was joining its Star Wars family in the form of a Marvel comic I was quite excited. While well executed, I was disappointed to learn that it is a literal translation of the movie. The first issue of the mini-series provided no additional insight to the events in the movie. As I read the comic I kept waiting to see it veer from the script, but sadly it didn't. If you are a big fan who wants to enjoy the movie in comic book fan then you will enjoy the debut issue, but if you are looking for more depth or side stories this isn't the book you are looking for.